I’m so excited that you’ve decided to take the life-changing challenge and join me for the Whole30 program developed by New York Times Best Selling Authors Melissa and Dallas Hartwig. To help make our 30-day journey a whole lot easier and more delicious, each time I lead a Whole30 challenge, I always create exclusive subscriber-only Whole30 Meal Plans. In fact, I love creating meal plans that are not only Whole30-friendly, but are family-friendly too! Since I’m the only grain-free girl in a house full of grain-loving guys, I’m flying solo here doing what I call “The Lone Ranger” Whole30. Maybe the same holds true for you too? So to keep us from becoming short order cooks, I’ve developed meal plans that feature recipes the whole family will love – whether they’re doing Whole30 or not. Be sure to subscribe to my Whole30 Challenge to get the latest Whole30 Meal plans and recipes, as well as lots of support and encouragement to help you on your 30-day journey to better health! By joining us for my Whole30 Challenge, you’ll receive 5 weeks of brand new Whole30 meal plan kits that make getting a healthy meal on the table a snap! Important Note: If you haven’t already read “Day Zero: Getting Ready for Whole30,” please don’t miss it! It contains five helpful steps for making sure your Whole30 program is a success! After you complete the Whole30 Challenge, your healthy living journey can continue to flourish! I’m here to help you continue on the pathway to health and wellness. 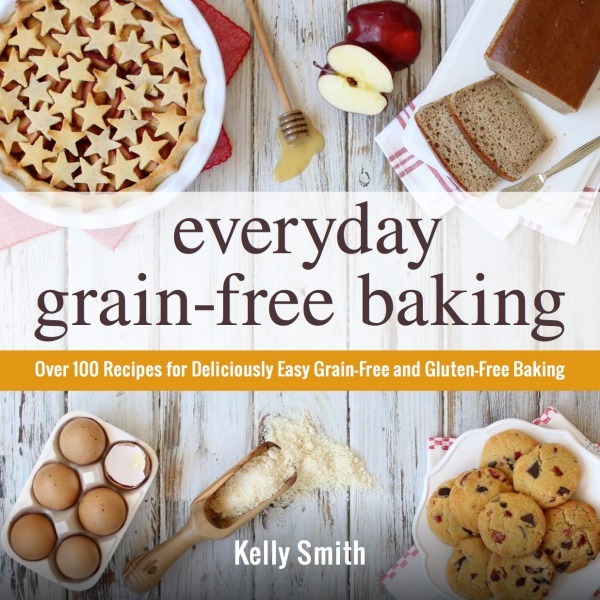 Simply subscribe to The Nourishing Home to receive my FREE weekly grain-free meal plans, as well as lots of delicious grain-free recipes, and helpful tips and resources for living a more nourished life! 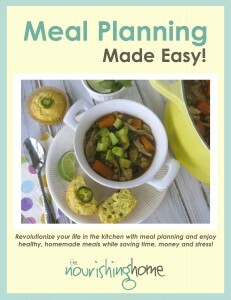 Plus, subscribers to The Nourishing Home also receive my best-selling eBook “Meal Planning Made Easy” for FREE! It’s my gift to subscriber-friends and I promise that it will revolutionize your life in the kitchen! Please note: This is not a paid endorsement of the Whole30 program. After careful consideration and prayer, I decided to personally take the Whole30 challenge since it’s a proven method for improving health and wellbeing. And because I care about you, I’m inviting you to join me in taking the 30-day challenge with me. 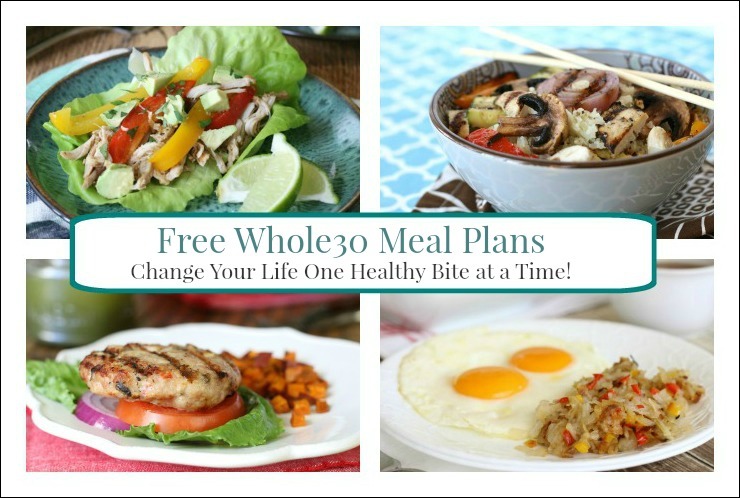 The only affiliate link in this post is for the Real Plans Whole30 meal plan subscription. Should you choose to join Whole30’s meal plan system, I will receive a small commission at no additional charge to you. And last but certainly not least, I am not a health professional, so nothing in this post, or on this site, is intended to replace the advice of a physician. Please see my full disclosure for more details. Thank you! Thanks for all your efforts, Kelly. With all the rules, Whole30 can be a bit confusing at first when you’re trying to decide what you can and cannot eat. Your meal plans and recipes made life so much easier. You are so welcome! I put the meal plans up on their own page so they can reside here permanently. That way, those who decide to take the Whole30 challenge when they’re ready will have immediate access to all of these helpful resources. I’m so glad you found the Whole30 meal plan kits to be helpful. Thanks again for your kind words and encouragement throughout our Whole30 journey! 🙂 You are a blessing! Just a question. I see potatoes on your Whole30 menus and don’t remember them being allowed when I did a Whole30 last year. 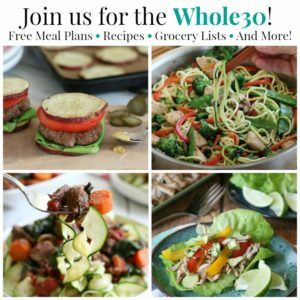 Has that changes or are you including them for your non-Whole30 family members? I am so glad to have found your Whole30 page. I didn’t do it along with you, but I plan to do it again after the holidays. Your menus and ideas will be so helpful! I am very new and on day 3 of my first Whole 30. I notice that almond milk is allowed as long as unsweetened. I have checked all the ingredients listed on the container but potassium citrate in not in allowed or restricted. Please advise. Thank you so much. Thanks for posting this page. I look forward to trying your recipes. Everything looks so yummy! You’re so welcome, Shonda! 🙂 Best to you on your Whole30 Journey! Thank you for posting these! It looks great, and I am looking forward to trying this. However, just so you know, the hyperlink for carrot and red onion dish under October 5 is not correct. It goes back to potatoes, again. Thank you so much for letting me know, Melinda. I’ll get that fixed as soon as possible! I really appreciate you taking the time to let me know and your kind words! 🙂 Thank you! I am looking forward to joining you on the 18th for the Whole30. First of all thank you for providing these meal plans to make if easier for people like myself who are new to this are already meal planners and have families to still feed (we are a family of 6). I am new to all of this and am just wondering if your meals plans will be the same as ones you provided in the fall with just news dates. Or will the meal plans be completely different. Thanks for helping me venture through new territory. I am looking forward to taking head on my recent hypothyroidism diagnosis, tackle obesity, and also obtain more optimal health as someone living with hereditary spherocytosis! Hi, Caitlyn. Thank you so much for your kind words. I’m glad you’re finding the Whole30 resources helpful. Although I don’t have meal plans for one, I do have a couple of recommendations to help. First, most of the recipes selected serve 4, so you could half the recipe, which would give you leftovers for lunch or dinner another night. By “shopping” the meal plans for recipes that sound good to you, that you don’t mind having as leftovers again, that will save you a lot of cooking and prepping time. So whereas I need to make all 7 meals on the meal plan, you may be able to make as little as just 3 dinner recipes, yet get 6-7 dinners, or again use leftovers for lunch. You might also want to try googling “Whole30 meal plans for one” or something like that and perhaps you’ll find someone who does offer that service. Hope this helps. 🙂 Best to you on your Whole30 journey! This looks great but I can’t seem to get recipes up when I click on them, any suggestions?? Thank You! So glad you have this site with make easy recipes. I am just starting week one. Wish me luck. When I click on the link to reach weekly meal plan it makes me download it to view the plans. Once I do, I can’t see the actual recipes. There’s no way too click on the individual meal name to take me to a recipe. They all look so good, but I need to know how to make them. I am so impressed with these menus! I’m considering doing the whole30 program but I’m single w kids who are very very picky. So I’ve been looking for menus with normal foods not fancy ones. Thanks! I’ve got it all saved to my flashdrive so I can review them at home when I have time. Thanks! On day 6 and so impressed with these dinners! Everything has been so tasty – it’s been difficult to get leftovers for lunch because everyone is gobbling these meals right up. Favourites so far have been the tomato vinaigrette, roasted sweet potato bites, and southwestern chicken burgers. Thank you! Some great recipes posted here! Very nice of you. My husband and I both did the Whole30 program and lost 15 pounds each. My doctor wants me to lose 30 more pounds and lower my LDL. Can I stay on this program and still lose weight? I have been at a plateau since we finished the 5 week program. Thank you so much for sharing these recipes. I am a busy, single mom, of two young ones and it was really this page and the recipes that made it possible for me to do my first Whole30. Grocery shopping and meal planning was never been easier; I knew what I was making every week and just want I needed to buy. These are a great compilation of recipes, and to quote my seven-year-old son “This is not Whole30, this is WholeYummy!” Thanks again for serving God and others through your page. I love this. Do you have similar plans/shopping lists for 1 person? It’s just me and this will be my first whole 30. Question Please–today I made the home made mayo. I doubled the recipe but followed it exactly. My mayo is the consistency of thick chocolate milk. Any idea what I did wrong??? thank you for the help and suggestions. Okay I am all set to start week one of your meal plan….I can’t wait to eat all this delicious food. My biggest obstacle is gonna be cutting out my Ex Lg Steeped Tea with 2 cream and 2 sugar in the morning. I’m at the tail end of my 4th (or 5th?) Whole30, and it has been the easiest so far because of your meal plans and grocery lists. In 3 weeks I’ve only eaten out 3 times (compliantly of course) but for the most part I don’t feel like I’m missing out on anything because these recipes are just SO good. Thank you for curating these weeks, I’m even thinking of continuing the Whole30 into a Whole35 to fit in all five weeks. You’re meal plans were a key part of me enjoying Whole30! It was so easy to pick it up and know that I could buy groceries and have recipes that worked. I did notice that the meal plans you offer on your site now are different than when I did it. Do you have the old meal plans you’d be willing to post? I’ve been pointing lots of my friends to your site! Hi Kelly, funnily enough I’ve just stumbled across your site because I’m pulling together some info on the Whole 30 for my husband. I’ve done it twice before and it literally changed my life. I now eat a wholefoods based keto diet most of the time. My husband has been a vegan for a while but is having a lot of skin issues like eczema so he’s thinking of doing a Whole 30. I’m going to show him your meal plans so he can see the kinds of delicious foods he can be eating. Thanks! Thanks for posting these meal plans, I’m sure they will be instrumental in my success! I was just wondering if the shopping list included the amount and ingredients needed for breakfast or if I will need to plan those separately and add them to the list? Trying to be as prepared as possible and don’t want to have a panic if I don’t get all the food I need. Thanks!! Thank you so much for posting this meal plan! The shopping list made this so easy. Every single meal on this plan, my whole family devoured…there was not a single meal they requested me not to make again. And I asked at every dinner!! Delicious and fairly easy. Thank you again! Thank you so much. I’ve wasted soo much money on products that have not worked! I’m thankful for the recipes. I need guidance! Standing at 4’10” and 178 lbs I HAVE to do something!!! !